So, you want to see the coveted blue thick next to your username on Instagram. Many users desire to have one, perceiving it as a social status among Instagrammers. Initially, Instagram verified brands, public figures, and celebrities in a bid to avoid confusions. There could be many usernames similar to Kim Kardashian or Nike. In order to designate real Nike in the crowd, Instagram opts to verify these brands and personas. However, now, users can apply to have the blue thick on their accounts. Although the procedure is straightforward, there is no guarantee or time frame when you see the blue thick. Next, you need to enter information to prove that you are the person whom you claim to be. Authentic: The account must represent a real person, registered business or entity. Unique: The account must be the unique presence of the person or business it represents. Complete: The account must be public and have a bio, profile photo, and at least one post. Your profile can’t contain “add me” links to other social media services. Notable: Your account must represent a well-known, highly searched for person, brand or entity. Instagram tells users that it carries out reviews in multiple news sources to make sure that the person that applied for verification has an internet personality. While keeping in mind these official points, here are 5 points you should consider whether or not you can get the popular blue thick. This suggestion may sound weird. It would be better to say that do not just concentrate on Instagram. You must be an existence on other platforms like YouTube and Facebook to be a real influencer and have an internet personality. 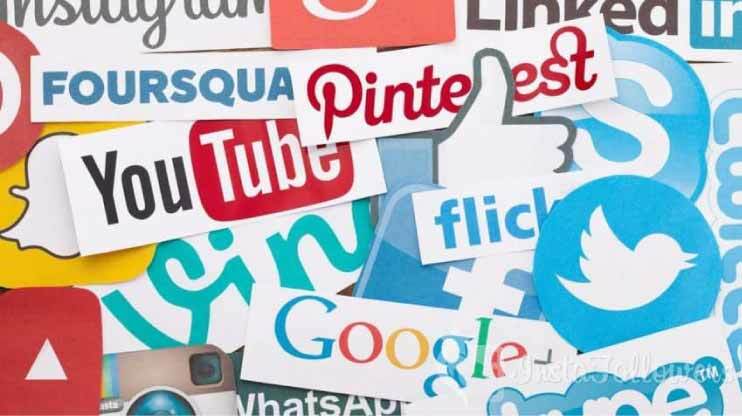 If you have many followers on Instagram without having any personality in other social platforms, you can be easily found on the image-sharing platform. That’s why people can find you in no time on Instagram without confusing other users. 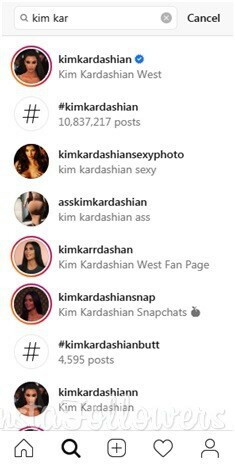 There are many Kim Kardashians on Instagram. So, the social platform verifies real Kim Kardashian to distinguish from other fake accounts. 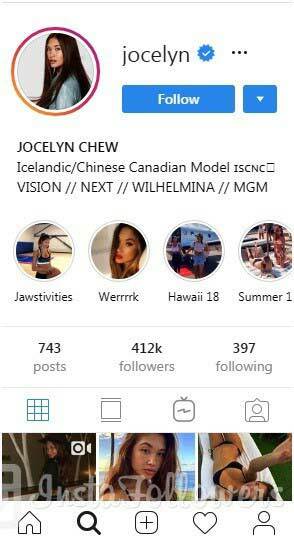 If you have the personality on multiple social platforms and earned the status of being “influencer,” Instagram will verify your account in no time. Instagram’s popularity grew around hashtags. If you post your image or video without hashtags, you miss many audiences, money as well as also the essence of the social platform. Experts point out that even one hashtag in your content can increase the engagement by 12.6 percent. 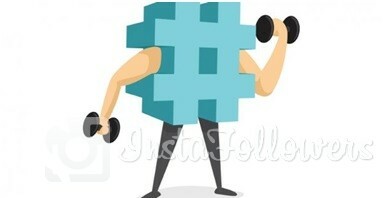 You can use up to 30 hashtags per content. Add popular hashtags in your content in order to reach wider audiences while contributing Instagram’s cause as well. Many use these hashtags: #love, #instagood, #photooftheday, #tbt, #beautiful, #cute, #me, #happy, #fashion, #followme. However, it is equally important to come up with your unique hashtag and call-to-action in your posts to gain an influence and popularity on Instagram. That will increase your chance to be verified. There are one billion active users monthly on Instagram. In order to a prominent figure among these people, you must have a style and be consistent with this style. 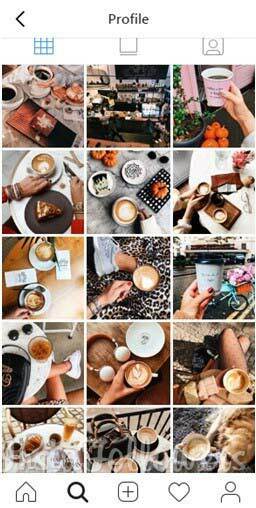 If you love coffee, be consistent in sharing coffee and similar photos to be recognized. Speaking of being consistent, try to use similar filters, perspective, and color. Also, this approach will serve others that your Instagram account is legit. In order to prove that you are the person whom you claim to be, of course, goes through having a robust bio. Include as many details as you can to show that you are a real person. The bio is the front place that you create an image for yourself. You have to be sure that the bio represents you in the best possible way. Just like other social platforms, Instagram can spot cheaters without much effort. You are in a digital world. There are many tools to cross-check whether or not a person is a cheater or not. Especially, if you want to be verified, be true to the social platform, your followers, and yourselves. Be genuine in your comments and posts. Otherwise, you may be blocked by Instagram for good. 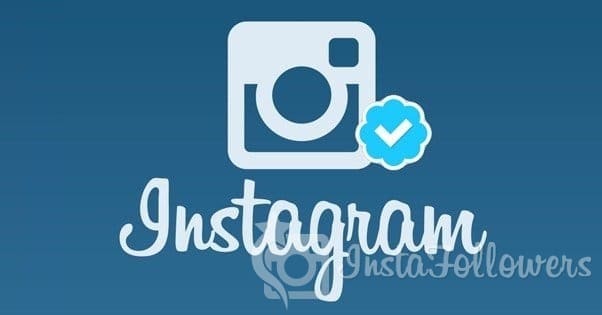 Verification badge is a check mark below your profile picture that shows your account is not fake, zombified or copied. A proof of genuine profile given by Instagram itself. After all there many fake accounts out there. Some of them are harmless like liking bots and services yet some of them may target you instead! With a verification badge, you can prove to your friends that your account is the real and original one instead of the fake ones! Such a badge may not so important to personal profiles yet for corporations and generally known people like celebrities, it is just crucial to have one. It is easy to get a Verification Badge yet it takes time for the wait. You need to have an identity card or a driver license prepared. Be Unique: Your account must represent a real person or corporation. According to Instagram’s Help Desk, it is a really simple process to do it. You can either get the informatino from here or reading the information at below. There are a few ways to do it. Here is a list for you. Use Youtube, twitter or any familiar social media platform as best as you can. Remember, before those social media platforms no one knows a title called “Youtuber” yet today we consider them as next-generation celebrities. Get a verification badge from Facebook! It is a much more simple process and helps you to get one from Instagram! Use a family member or a friend that working on Instagram. They may have a chance to hook you up to get a badge! After various steps, you finally got your badge! Here is a list of behaviors you need to avoid! A badge is unique to a person and can not be sold! On Instagrams help page, it is very clear that if you attempt to transfer, advertise or sell your badge Instagram will remove it! After your badge has given, you became unique! You can’t advertise anything over your profile picture! This is another rule that makes your badge gone in an attempt to neglect! Instagram is the only authority to verify your account on the platform! Don’t try to verify your account over third-party apps. Instagram URL is not something users will need so much but when it turns to download a photo from Instagram the thing has started to change. As social media is so popular, there are many social media platforms today. Although many of them so popular, Instagram is the most popular one among the other social media platforms. People like to use Instagram for sharing their photos and videos with their followers. Because people share their all photos and videos with their followers, they try to have more followers. Some of them want to have thousands of followers so that they buy 1000 real Instagram followers. In this way, they can have thousands of followers in a very short time. First, they choose of those services that provide Instagram followers. Then, they buy 1000 real Instagram followers or more if they want. If you want to have more followers you can also find such services and buy 1000 real Instagram followers. Of course, users not only buy 1000 real Instagram followers, but also they search many topics about Instagram as there are many Instagram features that aren’t known by users. One of them is about how to copy the URL of a content. First, we need to explain that if the profile of the user is set to private, you can’t get the URL of any content that is shared by the user. If the profile isn’t set to public, it is easy to get the URL of a content you want. First, open the content. You will see the three dots button. Tap it and you will see the option “Copy The Url”. Once you tap, the URL will be copied to the clipboard. Once you copy the URL of the content, you can paste it anywhere you want such as in notes, browser or mail. Recently, smart phone makers and popular social website began to pay attention to your eyes and your overall health. Apple, for example, introduced the Night Shift to play around with colors to lessen the strain on your eyes. Android phones have similar feature. Like YouTube, Twitter introduced the Night Mode so that you can follow your feed without causing pain for your precious eyes. Next, swipe left to see your options. Next, tap on “Moon” icon at the bottom. Now, you turned the Night Mode on. Steps are similar with Android phones. Click on “Moon” icon to activate the Night Mode. As Above So Below – Apps In Apps Out – Ways In Ways Out – What all this for? All this hassle is focused on how to figure out ways for downloading/saving videos from Instagram to IOS or Android devices. Indeed many ways – many apps out there making it possible. Certainly Yes to Copyright and Distributing Rights But No To Mess & Trouble! User Comfort IN – Stress OUT! We all want to be able to download videos easily and quickly, Please No Cry! While exploring the stories shared by friends and other people from around the globe, we often come across some stunning videos, which we like to store in our special library. Instagram makes it difficult primarily to protect the individual Instagram user’s copyright on their pictures and videos. There is no direct way in the Instagram app to download Instagram videos or photos. Similarly, Instagram has no inbuilt feature to facilitate reposting. But, there are multiple sites and apps out there offering 1-click away Instagram video downloads and reposts. There are also available other on-line tools as well. Been There – Done That? Already tried a few ways? A few tryouts; This App That App – That Way This Way – But Dont Worry, We Analyzed It All! Altough there are 3 methods to Download/Save Instagram Photos/Videos, , lets us tell you first and foremost that one of the methods is widely used and recommended, Using Apps! Having said all that we surely and certainly should mention the very fact that having the ability to share and distribute content which may not be yours to use might cause trouble. Please be aware of infringing the copyright of others, as this is an area companies like Instagram are truly very sensitive. Before sharing someone else’s content, it is highly advised to make sure you attribute them in some way, or seek their permission to do so. It may not feel that easy, but it certainly works. It might seem like a bit headache method, but being persistent about the process works it out. Try it yourself, and once you’ve tried the process a few times then the rest is easy. Of course, if you like something a little more nicer-easier and faster, you are definitely recommended to use our app-based solution below. Next, tap on the three dots at the top right of the video and select Copy Link in the menu. Next up, open the App on your phone you downloaded for Instagram reposting. The moment you launch the app, the link is automatically copied in the text field. Now, all you need to do is just hit the Add to Favorites button. Next, tap on Download at the bottom right corner. You will be asked to allow the app to access your Photos for the first time, tap on OK in the pop-up. That’s pretty much it! The video will be saved to your library. Now you have your photo or video from Instagram right there. With these apps to save Instagram videos/photos users can also opt to store it to iCloud Drive, Dropbox or to instantly share it on any of their social apps. If you have a jailbroken device and are trying to figure out how to save Instagram photos on Phone that are free from the Apple – Google Store restrictions, there are some tools you can download to enable you to do this. A number of apps can be selected such as Instagram++, InstaEnhancer and InstaTools, all would let you download Instagram photos on Phone easily. Author instafollowersPosted on October 10, 2018 November 2, 2018 Format ImageCategories Twitter SupportLeave a comment on How Can I Turn On Twitter Sleep Mode? How Can I Turn Off Facebook Messenger Notifications? Facebook make easier our life but sometimes we do not want to get the notification, today we will talk about how to turn off Facebook messenger notifications. Social media has been so popular in recent times. Facebook is known as the first social media platform and today it is still one of the most popular social media platforms and apps. People share their moments, follow their friends’ posts. Apart from these, people also create fan pages or join those fan pages. They share posts about things they love on those fan pages. Users who create fan pages try to improve their pages. They buy facebook fan page likes or some other things to make their fan pages popular on Facebook. Apart from fan pages, there are many topics that are searched about Facebook. For example, notifications feature about Facebook messenger is a common topic. Some users don’t know how to turn off notifications on Facebook messenger. In this article, we will explain how to do it step by step. As it is commonly known, the Facebook messenger was established and people send messages to each other on this separated platform. Although many people like this app, some users have still couldn’t get used to it. Some of them are bored of this and don’t want to get these notifications at all. It is easy to turn on and turn off this setting in the settings. If you are bored and don’t want to get notifications from Facebook messenger you can easily turn off them. First, log into Facebook messenger with your Facebook mail address and password. Then, go to settings. You will see notifications and sounds. Tap it and it will be closed. You won’t get notifications from Facebook messenger anymore. If you want to turn on them, you can go to settings and tap notifications and sounds again. Author instafollowersPosted on October 10, 2018 November 2, 2018 Format ImageCategories Facebook SupportLeave a comment on How Can I Turn Off Facebook Messenger Notifications? Social media has gained much popularity in recent years. There are many social media platforms and apps today. People share many things about their life or things that they like on social media. Facebook is knowns as one of the most popular social media services around the users. There are millions of Facebook users today. They share interesting things that they like or their moments on Facebook with their friends, as well as they, follow what they are up to on Facebook. People can like their friends’ posts or videos or they can make comments so that those posts or photos get popular. Of course, all users want their posts/photos to get likes and be popular. Because of that, some of them buy Facebook photo/post likes to their photos. Apart from likes or comments, there are many features that Facebook provide. One of those features is the Facebook video call. As it is commonly known, people don’t need some apps like Skype to make video calls. They can make those video calls with their friends on Facebook. However, there may occur some problems during the video calls. Some users don’t get sound when the video call starts. We will explain the possible reasons for this problem. When you are making the video call on Facebook, the first thing you should do is to check if the connection is lost if Facebook freezes. You should also ask the person who you are making a video call to check his internet connection. Why Doesn’t My Friend Get My Sound During Facebook Video Call? If you hear your friend but he doesn’t hear you while making the Facebook video call, you should try another microphone if you have one and also your friend should check his speaker. The reason may be so basic that the sound of your microphone may have been muted. If it is muted, you should increase its volume. If there are apps which are running in the background, you should close them. Of course, your friend should do the same thing. Author instafollowersPosted on October 10, 2018 November 2, 2018 Format ImageCategories Twitter SupportLeave a comment on How Can I Turn Off Notifications On Twitter?